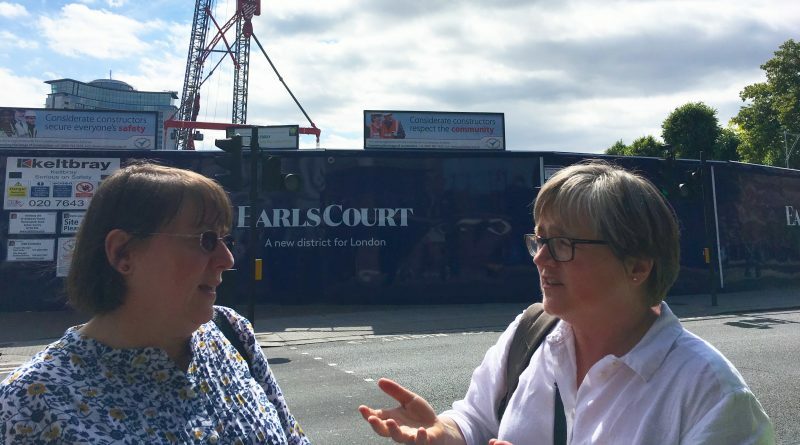 Save Earl’s Court campaigners are calling on the Mayor to build the ‘world’s greenest venue from the pips up’ on the site of the iconic Earls Court Exhibition Centre. I hosted the launch of the campaigner’s report Earls Court: Rescue, Recovery, Renaissance at City Hall earlier this summer. 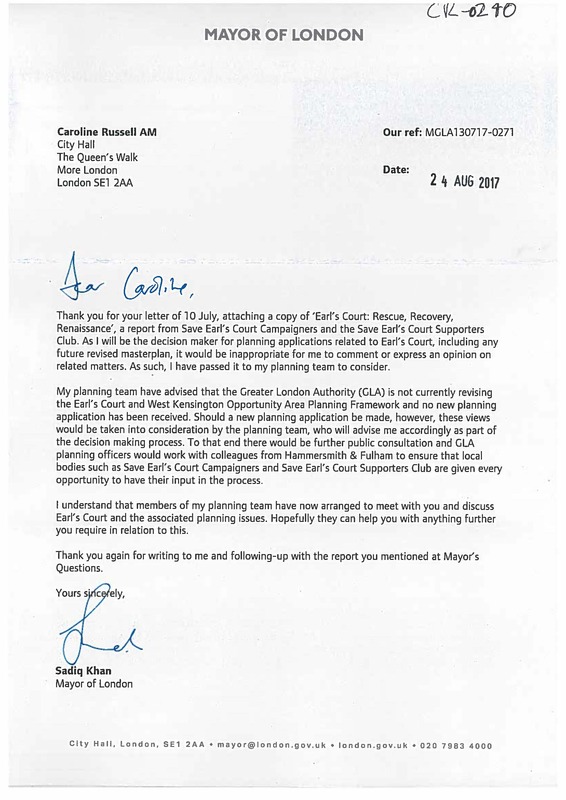 The work by the Earl’s Court campaigners has been phenomenal – as attested by their report and alternative plan showing the importance of exhibition space to the London economy. Following the launch I sent a copy of the report to the Mayor – his reply is below.